The Colorado Parks and Wildlife Commission will discuss allowing leashed dogs on select trails at Cheyenne Mountain State Park, prohibiting fishing at the ponds within the dog off-leash area at Chatfield State Park, restricting watercraft to vessels propelled by hand on the Chatfield State Park ponds (excluding the main reservoir), removing the boating seasonal closure at Jackson Lake State Park, and defining and allowing incidental commercial use at state parks without a cooperative or special use agreement. 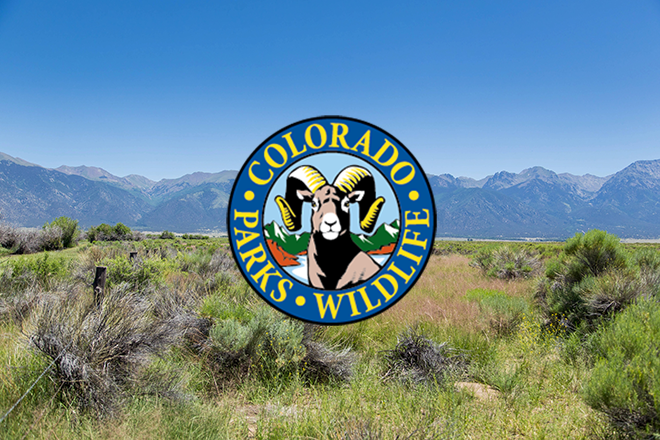 The Commission will also consider proposed regulations concerning the fee structure for the recently created Cameo Shooting and Education Complex, proper display of OHV permits, Colorado Springs Urban Deer Management, Northwest Region Fires Update, and the 2020 - 2024 Big Game Season Structure at its September meeting in Glenwood Springs. The meeting is scheduled to begin at 8:00 a.m. and adjourn at 5:00 p.m. September 6 at Colorado Mountain College's Morgridge Commons Meeting & Conference Center, 815 Cooper Avenue, in Glenwood Springs. The September 6 meeting will include a Commission Forum: Envisioning Colorado's Future State Parks that will be broadcast on Facebook Live from 2 - 5 p.m. The meeting will reconvene at the same location at 8:00 a.m. September 7 and will adjourn at 1:00 p.m.